Important: Beginning January 1, 2017, the federal education and textbook tax credits have been discontinued (students will still be able to claim the tuition tax credit). However, depending on the province or territory where you live, you might still be able to claim the education and/or textbook amounts you paid in 2017. Click here to find out if the education and textbook amounts tax credit is available in your province. If you’ve got unused education and textbook credits from years prior to 2017, you’ll still be able to claim them or carry forward these amounts for use on future returns. As a student, you can also reduce your provincial tax payable to zero because of the amounts you’ve paid for your tuition. You’ll need to use your tax certificate (a T2202A, or an RL-8 slip if you’re a Québec resident) to complete your provincial Schedule 11 (or Schedule T if you’re a Québec resident) to determine how much of your credit amount you can claim, transfer, and/or carry forward. 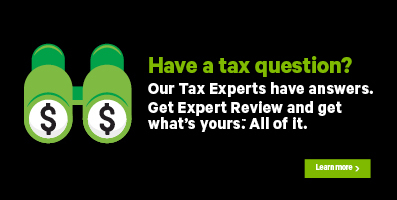 Note: H&R Block’s tax software automatically completes your provincial Schedule 11 (and Schedule T, if applicable) based on the information you enter from your tax certificate. If you decide to carry forward your unused provincial tuition amounts, you’ll need to claim them the first year you have to pay tax. You can find your unused provincial credit amounts on your most recent notice of assessment (NOA) or reassessment. Note: If you move from one province to another (except Québec), your provincial carry forward amount can’t be more than the federal tuition carry forward amount. If you move to another province from Québec, you’ll lose your provincial carry forward amount. You’ll be able to see how much of your unused provincial tuition amount is available for carry forward (or transfer) on the Education transfers page under the OPTIMIZATION icon of the WRAP-UP tab in H&R Block’s tax software. If you answer No to the question, You have tuition and education amounts available to transfer. Do you want to transfer these amounts to someone else?, the software will automatically carry forward your entire unused provincial tuition amounts so that you can use them on next year’s return. Tax tip: It’s to your advantage to file a tax return each year, even if you didn’t have any income, so that the Canada Revenue Agency (CRA) or Revenu Québec can update their records with your unused tuition amounts. The maximum amount you can transfer to a family member is $5,000 (or $6,820, if you’re a resident of Ontario) minus any amount you need to reduce your own tax payable. Keep in mind that you can only transfer your provincial tuition amounts from this year, since carryforward amounts from a past year can’t be transferred. This page shows you how much of your tuition credit amounts you’ve got available for transfer to an eligible family member. If you answer Yes to the question, You have tuition and education amounts available to transfer. Do you want to transfer these amounts to someone else?, you can choose to either transfer the maximum amount of your unused credit amounts or specify the exact amount. To claim the tax credit, enter information from your federal tax certificate (and Relevé 8, if applicable) into H&R Block’s tax software as follows. The software will automatically complete your provincial Schedule 11 (and Schedule T, if you’re a Québec resident). Type the name of the slip/tax certificate you received (such as T2202A, TL11A, RL-8, etc.) in the search field and either click the highlighted selection or press Enter to continue. Under the CREDIT AMOUNTS section, click the checkbox labelled Tuition, education, and textbook amounts carried forward from a previous year (Schedule 11), then click Continue. When you arrive at the page for your Unused tuition/education amounts, enter your information into the tax software.